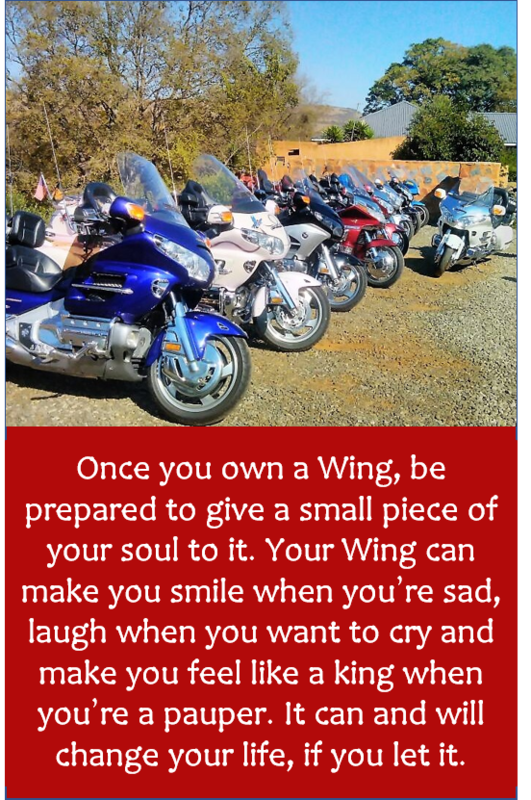 In order to get in touch with the President of Wing Riders SA and/or members of National Council (which includes the Chairpersons of the Chapters), please click HERE for their respective contact numbers and/or e-mail addresses. If you have anything for sale or are looking for anything Wing-related, please go to the MARKETPLACE. If you are looking for advice or have ANY other queries, please complete the form below. An e-mail will reach the National Secretary within minutes. You can expect a reply soon.